Former UFC and WEC lightweight champion Benson Henderson has gone 14-2 since his WEC debut in 2009. (Jeff Chiu/AP). With the headline and picture above, you already know that this is a story on Benson Henderson, who steps into the cage Saturday night to face Rafael dos Anjos in the main event of this weekend’s UFC Fight Night event in Tulsa, Okla. But what if you didn’t? What if the names were redacted, just for now, and all that remained were the statistics. Just the wins and losses. Just the numbers. No names. Just data. What if I told you that over the last five years, dating back to Jan. 25, 2009, “Fighter X” has a record of 14-2? That the first of those two setbacks halted a 10-fight winning streak which included an interim title win, a victory in a title unification bout and one successful title defence. 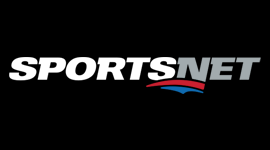 That the second defeat ended a seven-fight run of success that included another championship victory and three more title defences, and that another two wins have already followed the most recent setback. What if I told you that during the span of those 16 bouts, “Fighter X” has earned nine victories over fighters that are currently ranked in the UFC, plus one more against an athlete that is “inactive” but would otherwise land in the Top 10 of his weight class? And that those two bumps in the road came against the same fighter — the reigning champion of his division and a Top 10 pound-for-pound performer, universally regarded as one of the most exciting and talented competitors in the sport today. On paper, without the names, that’s as impressive a resume as you’ll find in the UFC, save for maybe Jon Jones or Jose Aldo. Without the names and without the attachments, you’d be hard pressed to argue against “Fighter X” being one of the best in the business — a competitor that should, given his accomplishments, be universally respected for what he has achieved inside the Octagon. In a sport where fans and critics often lobby for traditional sporting metrics like wins and losses to carry more weight, those things go out the window quickly when it comes to Henderson and his place amongst not only the best in the sport right now, but the top lightweights of all-time. “Smooth” has been one of the best 155-pound fighters on the planet for the last five years, since debuting in the WEC in 2009. He has earned victories over Josh Thomson, Gilbert Melendez, Nate Diaz and Jim Miller along the way, as well as boasting a pair of wins over both Frankie Edgar and Donald Cerrone, all four of which came in championship bouts. While everyone has close fights over the course of their careers, Henderson’s penchant for winning tight battles that go to the cards gets viewed as a negative, detracting from what he’s accomplished, and many fans fail to take into consideration the level of competition he has faced over that time. Thomson hasn’t been finished since his loss to Yves Edwards at UFC 49, while Melendez and Edgar have never been stopped. Henderson was the first man to submit both Rustam Khabilov, who has only lost twice in 19 fights, and Cerrone, whose only other stoppage loss came against current lightweight champion Anthony Pettis almost three years after Henderson tapped him out in the first round of their championship rematch at WEC 48. No one else in the division has that kind of resume, including Pettis, the only man to get the better of the 30-year-old former WEC and UFC champion under the Zuffa banner. Since their first encounter at WEC 53, Henderson has gone 9-1, posting seven wins against ranked opponents, plus earning a win over Diaz in arguably his most dominant performance to date. By comparison, “Showtime” has amassed a 4-1 mark, losing to Clay Guida (a fighter Henderson has a win over) and edging out Jeremy Stephens before going on the three-fight run of electric finishes that has carried him to the top of the division where he currently stands. A victory Saturday over dos Anjos will give Henderson six career victories over fighters currently ranked in the Top 10 in the lightweight ranks — twice as many as Pettis. From the time he first set foot in the Octagon at UFC 129 to now, no one in the lightweight division has consistently faced as much elite competition as Henderson. Not Edgar, not Pettis, not Melendez, not Cerrone, not anybody. Henderson’s UFC run also measures up across other divisions as well. His nine wins are more than any current champion over the same stretch, including Chris Weidman (7-0), Jon Jones (7-0), Demetrious Johnson (7-1-1) and Jose Aldo (6-0), with only Jones and Johnson holding more victories over Top 10 opponents (six) during that time. While those fighters are all praised for their accomplishments and acknowledged amongst the best in the sport today, Henderson’s place alongside them is rationalized away as being a result of some fortuitous and generous decisions as fighters he’s beaten garner more attention and acclaim. 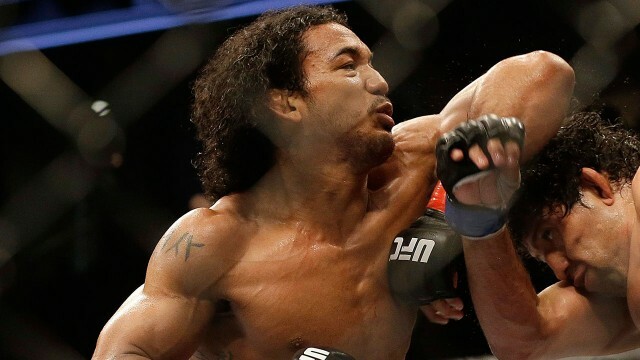 Benson Henderson is far from flashy and never one to sing his own praises, but, the reality is this: whether you like to accept it or not, Henderson has been — and remains — one of the absolute best fighters in the UFC and he’s got the resume to prove it.